Jack Gatto returns to The Parkes Services Club, Friday 11th, Saturday 12th and Sunday 13th. 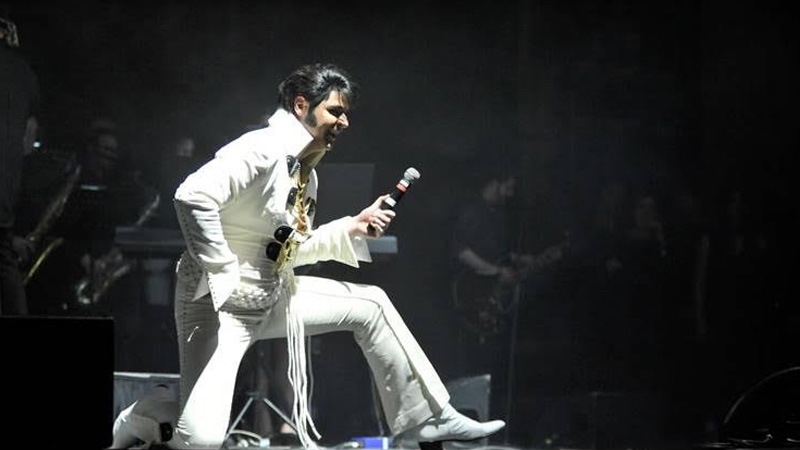 Selling out all 3 shows for the past three Parkes Elvis Festivals tickets will again be in hot demand. Once again backed by the Fourcasters and support Act Amitie. Jack is taking a break from his national tour to be at Parkes Elvis Festival where it all began. Check out and enjoy other events that are part of the Parkes Elvis Festival. If you do not understand any of the terms and conditions below, or for further information, please contact our support staff at the Parkes Services Club on 6862 1966 or visit 9-17 Short Street Parkes NSW 2870. The following conditions are for sale and attendance at the event: There are NO REFUNDS on any ticket except as required by law. The right of admission is reserved by the Parkes Services Club staff at the venue. Admittance to customers bearing tickets purchased online at a discount price (such as members) will only be available upon production to Parkes Services Club staff of relevant ID on the night of the performance. Failure to produce appropriate ID may result in the patron being charged full price for their ticket. Latecomers will not be admitted until there is a convenient break in the program, if at all, and admission is at the discretion of the Parkes Services Club personnel on the day/night of the performance. Tickets will only be issued upon full payment and will be available to print from the website. If you are unable to print your tickets, please contact the Parkes Services Club. Subject to availability, tickets will be available for purchase at the event.7. Every patron must have a valid ticket. By clicking the “Finalise Booking” button, you are agreeing to the above terms and conditions of sale, including the refund and exchanges sections. All orders are subject to credit card approval and billing address verification. Parkes Services Club assumes no responsibility for any error, omission, interruption, deletion, defect, delay in transmission, or line failure and reserves the right to add, withdraw or substitute artists and to vary the program should the need arise. Gain an understanding of your interests and to enable us to research and develop our business to better accommodate those interests. In addition, we may disclose your personal information as permitted or required by law. Please be advised that attendees at the Parkes Elvis Festival events may be photographed by official photographers. These photos may used for future marketing and promotional activities. Ticket holders will also be emailed a post-Festival evaluation survey. Please contact the Parkes Elvis Festival or Parkes Visitor information Centre should you have any concerns.